In 1857...physicist Heinrich Hertz, who became the first person to broadcast & receive radio waves, was born. In 1922...WOR-AM signs on. 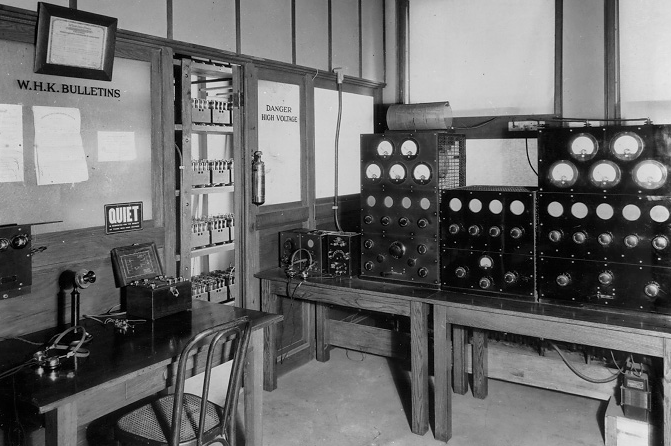 WOR began broadcasting on February 22, 1922, using a 500-watt transmitter on 360 meters (833 kc.) from Bamberger's Department Store in Newark, New Jersey. Louis Bamberger's sale of radio sets to consumers explained their affiliation with the station. The WOR call sign was reissued from the U.S. maritime radio service. Fox News Bill O'Reilly host devoted the top of his talk show on Friday to blast the liberal magazine Mother Jones Earth News once again for a report alleging that he had exaggerated his accounts from the Falklands War in 1982, according to CNN. "Mother Jones, which has low circulation, considered by many the bottom rung of journalism in America," O'Reilly said in his opening monologue, according to a rough transcript published online by Fox News. The host released the transcript early "in order to address the Internet guttersnipes," according to a tweet from the "O'Reilly Factor" Twitter account. With that, O'Reilly picked up where he left off a day earlier. On Thursday, after Mother Jones published the report, O'Reilly mounted a furious rebuttal, making his case in interviews with several reporters. He also made several disparaging remarks about David Corn, the Mother Jones Washington bureau chief who co-authored the report with Daniel Schulman. O'Reilly kept it up with his monologue on Friday's broadcast, dismissing Corn as a "liar" and the report as a "political hit job." The host also reiterated that he never said that he was on the Falkland Islands during the conflict between Argentina and Britain. The Mother Jones report highlighted several examples of O'Reilly saying he had been in a "war zone" during his coverage of the conflict for CBS News. 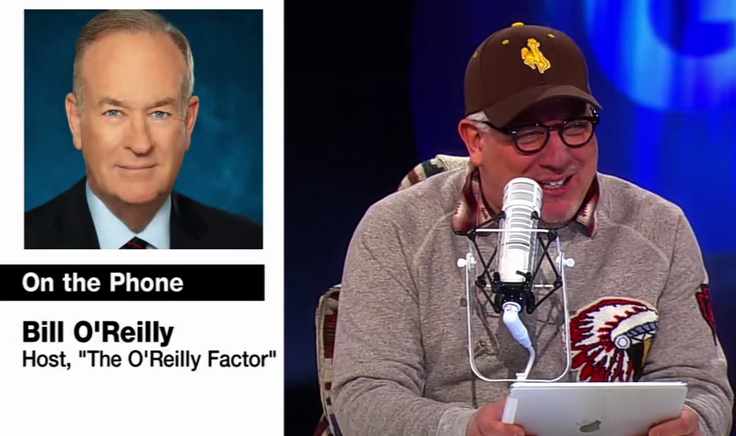 O'Reilly did not address his references to the "war zone" on his show Friday. He described his encounter with "angry mobs in Buenos Aires," recalling that he had witnessed "horrific" violence during a protest. O'Reilly also highlighted an internal memo from CBS News praising his coverage of the protest. He aslo appeared on the Glenn Beck Radio Program Friday to call out the "absurd" Mother Jones report about his war reporting, as well as the other digital media who picked it up. WHK began on July 26, 1921 when experimental station 8ACS signed on under a license obtained by Warren C. Cox in the name of Cox Mfg. Co. He broadcast on a wavelength of 200 meters (which translates to a frequency of 1500 kHz) from his home at 3138 Payne Avenue. Only about 1000 listeners were able to hear the first broadcast, and most of them were members of the Cleveland Radio Association. By 1922, licensees were barred from broadcasting on 200 meters, so Cox applied for a commercial broadcasting license. Warren Cox received a commercial license for his station on February 21, 1922 with the callsign WHK (the Commerce Department was still issuing mostly three-letter callsigns to commercial radio stations before April 4, 1922), and HK standing for the station's first vice-president and general manager, H. K. Carpenter. 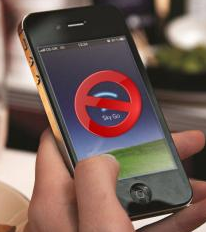 It was only the 52nd commercial radio license issued by the Commerce Department. 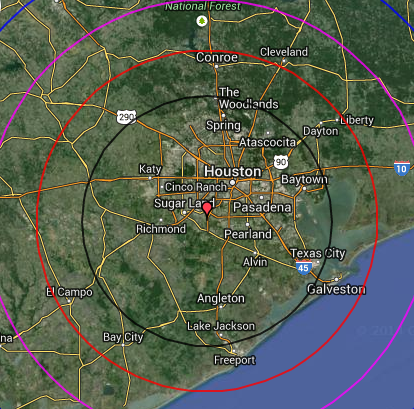 The station broadcast at a wavelength of 360 meters (a frequency of 830 kHz) which was the standard broadcast frequency for entertainment radio stations at the time. The station started broadcasting on March 5, 1922 from facilities located in the rear of a Radiovox store at 5005 Euclid Avenue. By 1924, WHK broadcasts had moved to 1060 kHz. 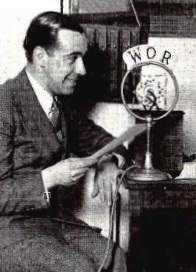 Warren Cox sold the station to Radio Air Service Corporation in 1925. In the following years, the station facilities underwent a series of moves, including 5105 Euclid Avenue, the Hotel Winton at 1025 Bolivar Road (later the Hotel Carter), the Standard Building at St. Clair and Ontario, the top floor of the Higbee Company on Public Square, and Carnegie Hall at 1220 Huron Road. 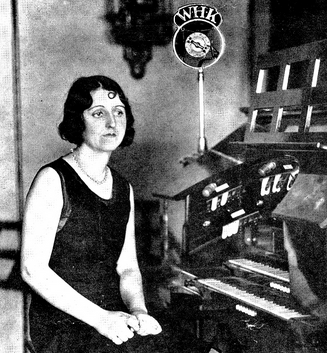 By 1927, the station broadcasts were heard at 1130 kHz, and the station was broadcasting with 500 watts at night. By 1928, the station was located in the Engineer's Building at 1370 Ontario Avenue. WHK became a CBS affiliate in 1930 and increased its power to 5000 watts for both day and night transmission. Radio Air Service Corporation sold WHK in 1934 to Forest City Publishing Company, the parent company of The Plain Dealer. Forest City then organized United Broadcasting Company as the station owner. On March 29, 1941, WHK like most radio stations changed its frequency as a result of the North American Radio Broadcasting Agreement. WHK moved from 1390 to 1420 kHz, the frequency it occupies today. In August 1946 WHK received one of the earliest experimental FM licenses, under the call W8XUB, broadcasting at 107.1 MHz. Upon receipt of a commercial license, the station became WHK-FM at 100.7 MHz, and later in 1968, WMMS. United Broadcasting sold WHK in 1958 to Metropolitan Broadcasting Corporation, which became Metromedia two years later. The new owners soon adopted a rock and roll Top 40 format. By the early 1960s WHK was Top 40 powerhouse, adopting the slogan "Color Radio" and "Color Channel 14." 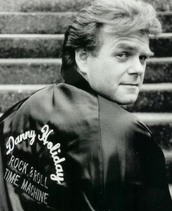 The station soared with fast-talking deejays like Johnny Holliday, who broadcast from "the glass cage" at 5000 Euclid, and dubbed the station's echo-chamber reverberation its "stratophonic sound." The "Action Central" newsroom included young reporters Tim Taylor and Dave Buckel. 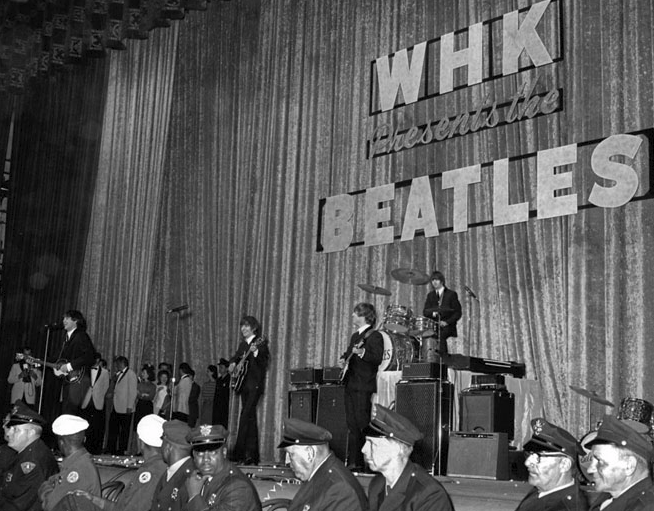 When The Beatles made one of their North American tours in 1964, WHK outmaneuvered rival KYW-AM to sponsor the Beatles appearance at Cleveland Public Auditorium on September 15, 1964. In the mid-1960s, the WHK DJs adopted the name the "Good Guys" and included Joe Mayer. On the cover of The Beatles’ Sgt. Pepper album, a doll wears a sweater emblazoned with "Welcome The Rolling Stones" and "Good Guys", a possible reference to the WHK DJs or maybe a reference to WMCA in NYC. Late in 1967, WHK stopped rocking to become "The Good Life Station," with easy-listening music and phone-in shows aimed at older listeners. Possibly the biggest reason for the format change at WHK, was the pressure put on the station by newcomer WIXY, an AM station at 1260 which started playing top 40 music in 1966. Metromedia sold WHK and WMMS in 1972 to Malrite Broadcasting of Ohio (later Malrite Communications), and Malrite moved its headquarters to Cleveland. 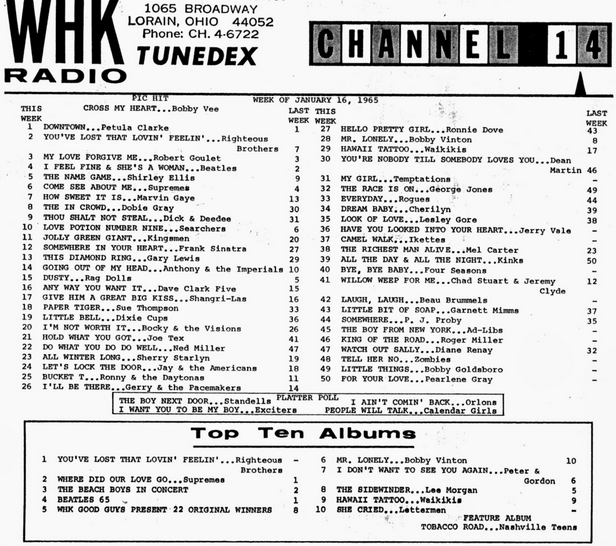 WHK dropped the beautiful music and tried a modified Top 40 format briefly again in 1973, called Cover Hits and developed by consultant Mike Joseph. The station ended up settling on a country music format in 1974 featuring controversial morning show talk host Gary Dee and famed Cleveland disk jockey Joe Finan as the "housewife's friend" from 10 am to 2 pm, until the eventual format change in '84. Another notorious personality, Don Imus, also returned to Cleveland in 1978 to do afternoon drive on WHK- one of the few times that he would ever host a non-morning drive position in his entire career. Imus had previously had a morning show on WGAR (AM) for 1½ years, ending in 1971, and lasted at WHK until September 1979 when he returned to WNBC in New York. Seeking to recapture its past glory again, WHK returned to a nostalgic 1950's and 60s Top 40s music on April 24, 1984 using the designation from their dial position 1420 AM...making it "14K WHK Solid Gold", becoming the first "oldies" totally formatted station in Cleveland, Ohio. Unable to service its growing debt, Malrite exited the radio business by selling off all their stations to Shamrock Broadcasting (Roy Disney's family-owned broadcasting company) in 1993. Shamrock in turn spun off WHK and WMMS to OmniAmerica, headed by former Malrite executive Carl Hirsch, on April 1994. Shortly thereafter, on May 16, 1994, WHK adopted a sports talk format featuring Tom Bush, Les Levine, Tony Rizzo and Pat McCabe, and dubbed itself "The Sports Voice of the Fan." Today the station is owned by Salem Communications and airs a Talk Format at 1420 AM. January was a very good month for iHeartMedia. For the third time in its 10-year history, its WRUM 100.3 FM Rumba has made it to the mountain top. The January PPMs released Thursday by Nielsen show that the Tropical station spiked 5.7—6.5 replacing clustermate WMGF at #1. WRUM had a little help along the way. For starters, Rumba lost a competitor. Hispanic Top40 WHKQ was acquired by JVC Communications in December and JVC pulled the plug on December 15, flipping 103.1 FM to WOTW /The Wolf, competing directly with market heritage Country WWKA 92.3 FM. Before the flip, iHM got creative and bought airtime from outgoing owner TTB Media Corp. iHM aired The Rumba Morning Show on 103.1 FM for more than 3-hours for several days. 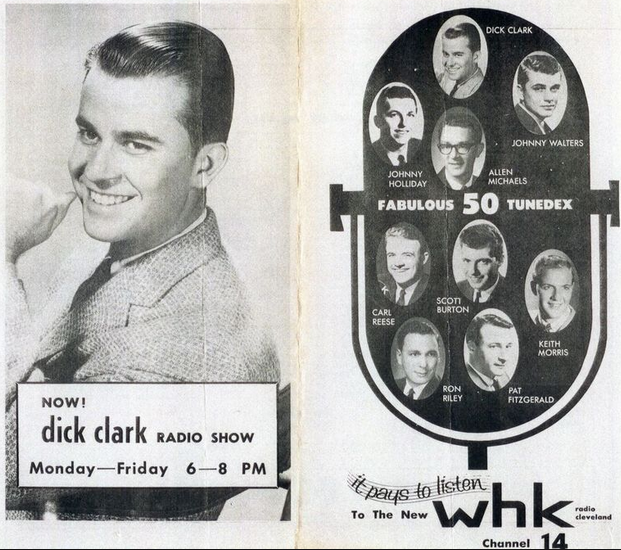 The station also aired half-hour music segments voiced by WRUM personalities inviting WHKQ listeners to tune to 100.3 FM . IHM also made arrangements to host the WHQK KQ103 website. Listeners now looking for KQ are re-directed to The Rumba website. Previously, Rumba 100.3 ranked #1 in December 2010 (7.6) and January 2011 (6.8). Also in January, iHM's AC/HolidayHits WMGF 107.7 FM lost more-than-half its share dropping 12.8—6.0. But Magic still came in at #2 (6+ AQH). Cox Media Groups Rock/AC WMMO 98.9 FM was up 5.1—5.8 to take the show spot. Central Florida Educational's Contemporary Christian WPOX 88.3 FM was off its usual pace 8.6—5.7 to finish in the #4 slot. During the Holiday month, Z88.3 played a mix of Christian and secular Christmas music. 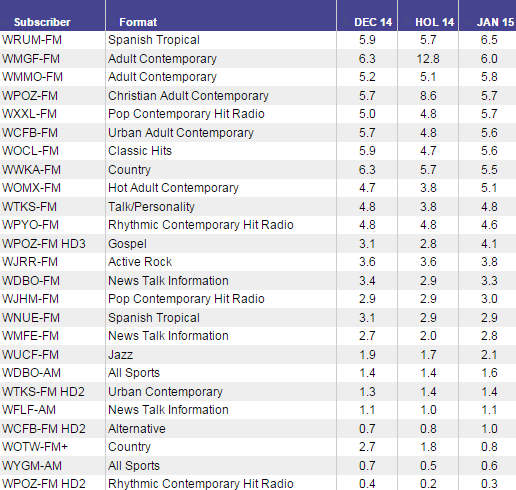 iHM's Top40 WXXL 106.7 FM had its best performance in five months spiking 4.8—5.7, good for the #5 spot. Noteworthy: iHM has Top 2 stations 25-54..Top 3 stations 18-34 and Top 3 stations 18-49. On One America News Network’s “The Daily Ledger,” FCC Commissioner Ajit Pai detailed some of the regulations he has found going though the secret 332-page proposed FCC plan designed by President Barack Obama to regulate the Internet. 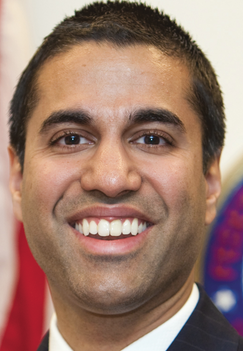 Pai Says FCC Is "Deeply Divided"
FCC Commissioner Ajit Pai urged colleagues to push for AM reforms Thursday and said he’s not in favor of an FM chip mandate, according to RadioWorld. Pai keynoted the “Future of Radio & Audio” symposium in Toronto that was organized by the North American Broadcasters Association. When RW last checked, the Media Bureau was still working on the AM revitalization item; sources tell Radio World the issue has been slowed, because, in part, of the agency’s focus on broadband. He called Internet streaming and podcasting “good examples” of radio reaching out to meet listeners where they are. Federal Communications Commission (FCC) Chairman Tom Wheeler will speak at the 2015 NAB Show in Las Vegas, the National Association of Broadcasters (NAB) announced Thursday. The address, which will be held Wednesday, April 15, 9:00-10:00 a.m., is expected to provide insight into the FCC’s policy and regulatory objectives related to broadcasting, technology and communications law generally. “This is a great opportunity for NAB Show attendees to hear first-hand from the FCC Chairman on the FCC’s progress on the TV spectrum incentive auction and a host of other items currently under consideration at the Commission,” said NAB President and CEO Gordon Smith. 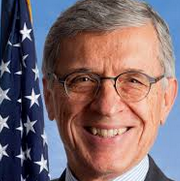 Tom Wheeler became the 31st Chairman of the FCC on November 4, 2013. For over three decades, Wheeler has been involved with new telecommunications networks and services, experiencing the revolution in telecommunications as a policy expert, an advocate, and a businessman. As an entrepreneur, he started or helped start multiple companies offering innovative cable, wireless and video communications services. He is the only person to be selected to both the Cable Television Hall of Fame and The Wireless Hall of Fame, a fact that caused President Obama to nickname Wheeler "The Bo Jackson of Telecom." Prior to joining the FCC, Wheeler was Managing Director at Core Capital Partners, a venture capital firm investing in early stage Internet Protocol (IP)-based companies. Entercom Communications Corp. Thursday reported financial results for the quarter ended December 31, 2014. Entercom's best performing markets during the quarter were Buffalo, Indianapolis, Kansas City and Sacramento. Boston has accelerated into 2015 and is now delivering strong top line and bottom line growth as well as significant ratings growth at both WEEI and WAAIm according to Field. On his earnings call with financial analysts, Field touted Entercom's new SmartReach Digital division, a full scale digital agency in Denver and the launching of dedicated sales operations in 12 markets during the spring and summer months. "Revenues are growing significantly in percentage terms, but from a small base in its early stage whilst we do to the long lead times in the business." "We are excited about where this business is going in 2015 and beyond." He also cited the acquisition of Lincoln Financial Group’s Radio Division for $105 million. "Lincoln is a great fit as it enables us to enter three new top 20 markets Miami, Atlanta and San Diego plus Denver where we already operate. The transaction fulfils our disciplined acquisition criteria as it enhances our competitive position and growth potential and should be accretive to shareholders in its first year of operations while having a minimal impact on leverage." Three Worcester, MA stations were forced off-air Thursday thanks to a burst water pipe that sent morning show hosts — and others in the building — "running for their lives." According to Telegram,com, employees of businesses inside 250 Commercial St. — including Cumulus Radio stations Classic Hits WWFX 100.1 FM /The Pike, WORD 98.9 FM /Nash Icon and HotAC WXLO 104.5 FM— initially thought the roof of the several-story brick building had collapsed. However, it was a burst 6-inch water pipe that sent water cascading through the building, sending ceiling tiles and debris crashing into a vacant first-floor storefront and turning a glass-enclosed staircase into an aquarium. Bruce Palmer was on air around 8:35 a.m. when he heard a thundering crash — a commotion loud enough to penetrate his soundproof studio. 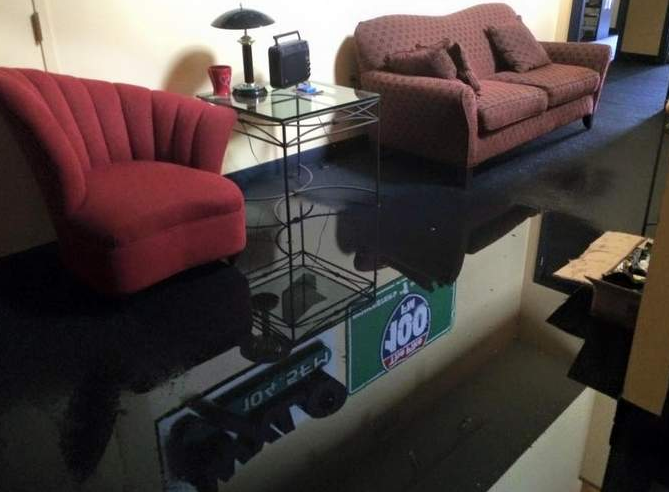 "Someone looked outside the studio and saw ankle-deep water running down the hallway. We grabbed what we could and ran out of the building," Mr. Palmer said. "We are in soundproof rooms, and if you can hear something like thunder in that soundproof room, you know it's big." The stations have automated systems, but with the power to the building having to be shut off, those systems could not work and all that was heard on the airwaves was dead air. The Pike returned to the air around 12:30 p.m. All three stations were back on the air by 1:30 p.m.
Bob Goodell, vice president and market manager, said early Thursday afternoon he was planning to bring in generators to the building and run cords to the fifth and sixth floors to power up the stations. However, Goodell said, the WXLO studio was heavily damaged and "is probably a loss," while The Pike and Nash Icon studios had minimal damage. 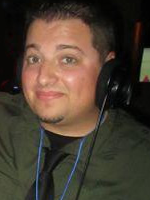 Cumulus has announced that Tyler Frye has been named host of the night show at KRBE 104.1 FM. Frye comes to Houston from Raleigh, North Carolina, where he spent three years hosting the #1 rated night show at WDCG/G105. Tyler began his radio career at WFLZ in Tampa, eventually serving as full-time swing talent and also hosted nights on Hot 107.1 in Denver. Mt. 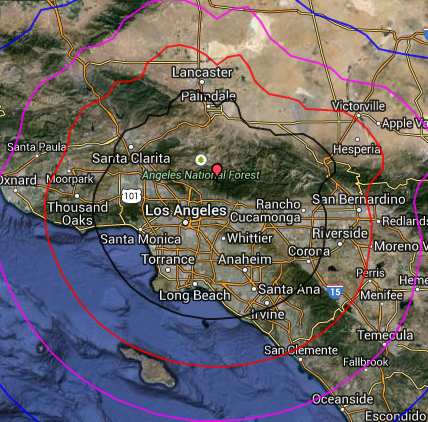 Wilson Broadcasting's KKGO 105.1 FM /Go Country in Los Angeles is shuffling their on-air lineup. According to All About Country, Evening personality Paul Freeman is moving to afternoons following the departure of Ginny Harman. This is a return to afternoons for Freeman as he's been there since the launch of KKGO in 2007. Harman had been with the station for seven years and was joined by Larry Morgan for nights in October. He was moved from mornings when Graham Bun and Debra Mark took over. After a month together Harmon and Morgan were promoted to afternoons, swapping shifts with Freeman in December. Morgan left KKGO to join crosstown CBS Radio Classic Hits KRTH 101.1 FMfor APD/swing duties. Harman said to LARadio.com, "If you know anyone looking for a fun, Harley-riding, cat-loving talent, please let me know! Will back-sell for food! LOL!" The New York Mets flagship radio station WOR 710 AM Thursday announced that Wayne Randazzo will join the radio broadcast team for Mets games broadcasts. 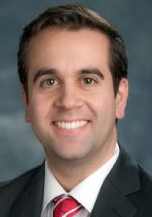 Randazzo is a seasoned sports broadcaster from Chicago, with more than 10 years of experience and will join play-by-play announcer Howie Rose and Josh Lewin. He will host a 30-minute pregame show before every regular season game and a 30-minute post game program. Randazzo will join WOR from CBS Radio Chicago, where he served as a sports anchor and talk show host for WSCR-AM and WBBM-AM. During his time in Chicago, Randazzo steadily raised the broadcasting ranks as a national play-by-play television and radio broadcaster at ESPN, Big Ten Network, MLB and Sports USA; and as a local broadcaster for the Chicago White Sox, Kane County Cougars and Chicago Sky. "I want to thank the Mets and WOR for this amazing opportunity. 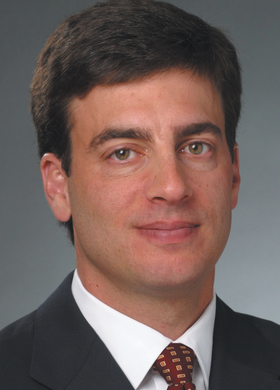 The Mets fan base is one of the most passionate in all of baseball," said Randazzo. "I look forward to working alongside Howie Rose and Josh Lewin, one of the best radio broadcast teams in baseball, to bring Mets fans great memories for many seasons to come. This is certainly an exciting time for the Mets and fans." Randazzo will debut on WOR next month, with the beginning of the station’s second year as the flagship radio home for the Mets. WOR will broadcast 15 spring training games, beginning March 4 against Atlanta, with regular season coverage starting opening day, April 6 at Washington. 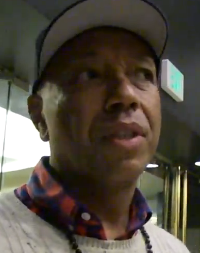 Russell Simmons Calls Geraldo An "Attention Whore"
If you missed it ... Geraldo attacked Simmons for spreading hip-hop culture which he believes cuts them off from mainstream jobs. Simmons isn't losing any sleep, telling TMZ in Hollywood ... "After losing, he needs to just talk to get himself relevant." Watch, there's a lot more -- including Russell's response to Geraldo calling him a "dear friend." 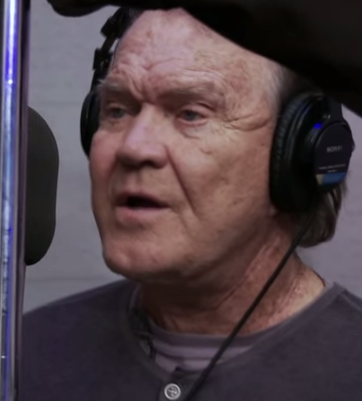 "I'm Not Gonna Miss You," which Glen Campbell wrote with producer and co-writer Julian Raymond, has already earned the Grammy Award for country song and is in the running for an Academy Award for original song for its use in Keach's documentary "Glen Campbell … I'll Be Me," which was shot largely during Campbell's 2012-13 "Goodbye Tour" after his diagnosis with Alzheimer's disease. The song expresses with brutal honesty what Alzheimer's does to those who have it, and to those who love and live with them. And best of all, I'm not gonna miss you"
"It's the real deal, it's not an actor playing a part," Keach tells The LA Times, who directed "I'll Be Me" and co-produced it with Trevor Albert. "Glen is singing the song from the point of view of a man who is going through this, and those are his words saying goodbye. It's very, very moving in that sense." Among those rooting for Campbell come Sunday night is Elton John, who recently said of "I'm Not Gonna Miss You": "This is not only the best song nominated; it's one of the most beautiful songs of all time." The music streaming service is launching a pilot test this week that will allow music artists to send personalized audio messages to its listeners, Pandora founder Tim Westergren announced at the Code/Media conference at the Ritz-Carlton, Laguna Niguel, Calif., on Wednesday. According to re/code.net, Pandora is currently open to just a small number of artists, including Lenny Kravitz, Westergren said. But over time, the company expects to expand it past a pilot test. Pandora thinks artists would use the service, dubbed Artist Audio Messaging, to announce things such as new tours and new albums, or to provide context on a particular song. “It’s the beginning of a much longer roadmap,” Westergren said, giving an example of artists using the service down the road to target messages to fans in a specific city. 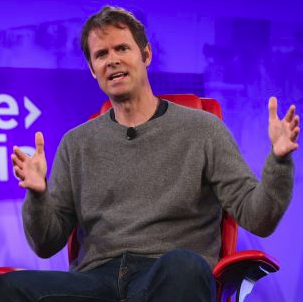 Pandora is positioning the messaging service as a continuation of an initiative to give more tools to music artists, as Pandora competes with newer music services such as Spotify for both listeners and artist support. In October, for example, Pandora unveiled a new, free analytics service for artists that gives them information about where their listeners on Pandora are from, and which songs they are favoriting the most. Eventually, musicians could even set up a virtual “tip jar,” Westergren said. Well-known broadcaster Dave Akerly will take over the weekday morning talk radio spot on WILS 1320 AM. Akerly will host the "WILS Morning Wake Up with Dave Akerly" beginning Monday, according to the Lansing State Journal. Akerly, best known as a news anchor at WLNS-TV, also has served as director of communications in the state Department of Human Services. Akerly, 53, said he plans a show that includes news, weather, sports and interviews with newsmakers. "We'll have enough time with those interviews, not just one sound byte," he said. He was sports director of WLNS from 1990-2002 started the Friday night staple known as "The Fifth Quarter." He also has also assisted numerous charities and non-profits over the years, including the Muscular Dystrophy Association. 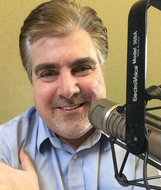 He replaces Tony Conley, 56, host for five years of the “Tony Conley Morning Show” who departed late last month to work as an account executive for Lansing's M3 Group, a branding and marketing firm. 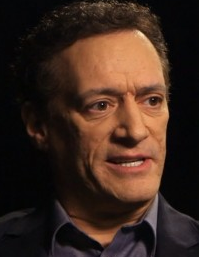 During a wide-ranging interview with TheBlaze’s Will Cain for “The Cain Conversation,” radio/internet personality Anthony Cumia offered insights on several the topics that his fans have been speculating about ever since he was fired by SiriusXM over his infamous Twitter rant, including the current state of his relationship with his former co-host of 20 years, Gregg “Opie” Hughes. After explaining how he and Hughes initially hooked up in the radio business, Cumia, who now hosts the online subscription-based “Anthony Cumia Show,” said they eventually drifted apart over two decades as their lives proceeded along different paths. MSNBC is starting to make some of the changes that Phil Griffin promised at the end of 2014. The Hollywood Reporter has learned that the cable news network is bulking up its news coverage in the daytime, and that means shows toplined by Joy-Ann Reid (The Reid Report) and Ronan Farrow (Ronan Farrow Daily) both are out. Farrow and Reid aren't going anywhere just yet, instead transitioning to new roles. For Reid, that means the title of MSNBC national correspondent. She'll produce original reporting for all platforms and make regular appearances on the primetime block. Farrow is getting a series of interview-driven primetime specials. Farrow also will continue his partnership with the NBC News Investigative Unit, and both he and Reid will work with the Bridge, the network's editorial news hub directing coverage for digital and dayside. Changes to the 1 p.m. and 2 p.m. hours were inevitable for MSNBC, as both time slots recently clocked all-time ratings lows. Business Rockstars, the largest content platform for entrepreneurs across mobile, social and broadcast platforms, announced the signing of eleven new FM network radio affiliates under SuperTalk.FM in Mississippi. 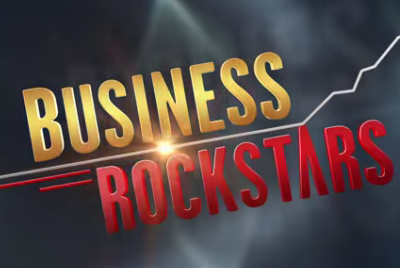 Among the stations that have added Business Rockstars to their afternoon lineup include Corinth 94.3, Hattiesburg 97.3, Delta 96.9, Jackson 97.3, Laurel 99.1, Meridian 103.3, SW MS 102.1, MS Gulf Coast 103.1 and others throughout Mississippi. “Business Rockstars is a great show and we’re certain the listeners across the SuperTalk Mississippi network will benefit from their insightful commentary and tips. Entrepreneurship is alive and well in our state. We look forward to inspiring current and future business owners throughout our long and prosperous relationship with the Rockstars team,” said Kim Dillon, President and COO at TeleSouth Communications, Inc. Suspended news anchor Brian Williams has resigned from the Congressional Medal of Honor Foundation’s board of directors after he was caught lying about his war reporting experiences, according to The Daily Mail. Ron Rand, the head of the foundation, put out a very brief statement yesterday saying Williams had resigned, adding that he had been in the position since 2006. The news comes after Williams was banned by NBC from making public appearances while serving a six-month unpaid suspension from the network for false reporting. 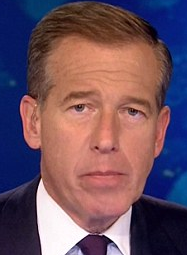 Williams' name has been trashed in recent weeks after it emerged he lied about being in a helicopter that came under fire while reporting on the Iraq War in 2003. Bob Wright, a personal friend of Williams and the former chairman and CEO of NBC, said the decision was difficult, but NBC believes it was necessary in order to 'get past' the scandal that has besieged Williams. 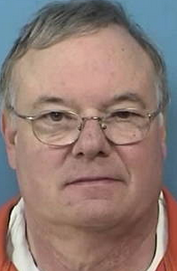 A former College of DuPage employee has been charged with stealing from the caampus radio station in a scheme similar to one he pulled off four years ago at another local college. Retired radio engineer John Valenta was arrested Thursday after being charged with stealing more than $200,000 from WDCB 90.9 FM, a professionally run jazz station largely supported by tax dollars and listener donations. Valenta’s arrest came hours after a front-page Chicago Tribune report that Valenta billed the Glen Ellyn-based community college for more than $400,000 from his private company, Broadcast Technologies — including at least $90,000 for radio transmitter parts that were never installed, according to school records. He repeatedly cited power failures as the reason for much of the repair work, but ComEd tests never detected a problem, documents show. 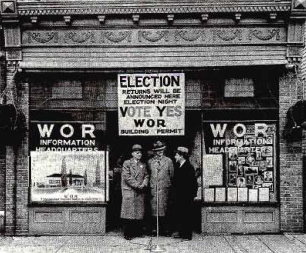 In 1922...WGY-AM, Schenectady, NY went on the air. As early as 1912, General Electric company in Schenectady began experimenting with radio transmissions, being granted a class 2-Experimental license for 2XI on August 13, 1912 by the Commerce Department. 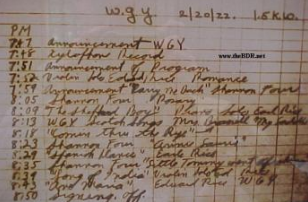 WGY signed on on February 20, 1922 at 7:47pm at 360 meters wavelength (about 833 kHz), with Kolin Hager at the mike, or as he was known on the air, as KH. 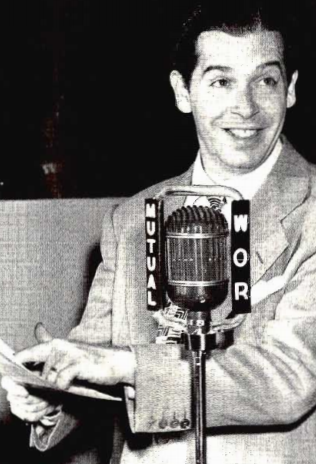 Hager signed on with the stations call letters, explaining the W is for wireless, G for General Electric, and Y, the last letter in Schenectady. 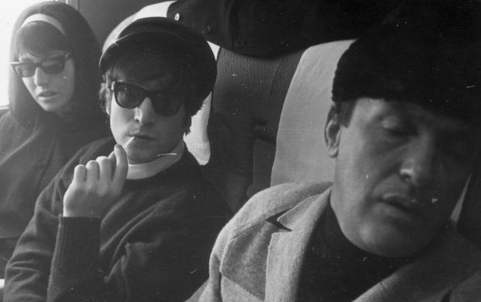 The first broadcast lasted for about one hour and consisted of live music and announcements of song titles and other information. The early broadcasts originated from building 36 at the General Electric Plant in Schenectady. The original transmitter produced an antenna power of 1,500 watts into a T top wire antenna, located about 1/2 mile away, also at the GE plant. WGY led the way in radio drama. In 1922 Edward H. Smith, director of a community-theater group called the Masque in nearby Troy, suggested weekly forty-minute adaptations of plays to WGY station manager Kolin Hager. 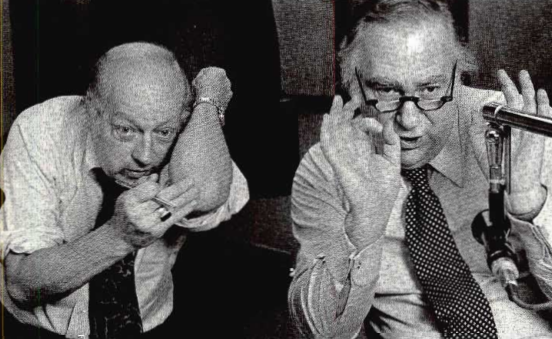 Hager took him up on it and the troupe performed on the weekly WGY Players, radio’s first dramatic series. During their initial broadcast—of Eugene Walter’s The Wolf on August 3, 1922—Smith became the electronic media’s first Foley artist when he slapped a couple of two-by-fours together to simulate the slamming of a door, and radio sound effects were born. While the invisible audience could not see that the actors wore costumes and makeup—which were expected to enhance performance but didn’t and were soon discarded—they could hear the WGY Orchestra providing music between acts. 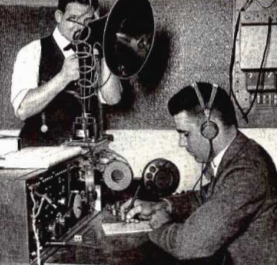 By May 15, 1923 the station was operating on 790 kHz with a frequency/time share agreement with RPI's WHAZ. Later, WHAZ moved to 1300 kHz allowing WGY to operate full-time on 790 kHz. 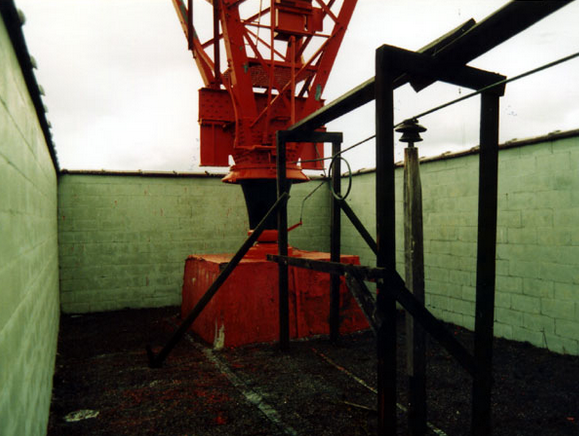 In 1924, the transmitter site was moved to its current location in the Town of Rotterdam known as South Schenectady. From this site, the station's power levels were increased first to 5,000 watts, then 10,000 watts and finally to 50,000 watts on July 18, 1925. Temporary broadcasts were carried out at the 100 KW (August 4, 1926) and 200 KW (March 9, 1930) power levels. From those broadcasts, the station received reception letters and telegrams from as far away as New Zealand. Plans were to make those power increases permanent, but were never carried out. 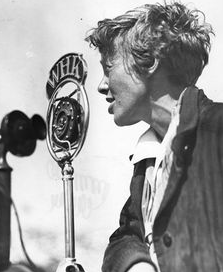 WGY also used the first Condenser microphone, developed by General Electric for radio studio applications, on February 7, 1923. In 1923, WGY formed the first radio network with WJZ and WRC, however the station also broadcast programs from rival station WEAF. Later in 1925, the New York State radio network was formed with WMAK, WHAM, WFBL, and WGY. 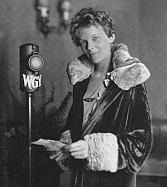 In 1926, WGY affiliated with the WEAF-based NBC Red Network, and after the split of the sister NBC Blue network into today's ABC Radio, WGY remained with NBC Radio until it folded in 1989. To add to their laurels, six years later the Players performed an old spy melodrama titled The Queen’s Messenger in the world’s first dramatic program to be broadcast simultaneously over both radio and the new medium called television. In 1941, WGY changed frequency from 790 kHz to 810 kHz to comply with the North American Radio Broadcasting Agreement also known as NARBA. In 1942, during World War II, a concrete wall was built around the base of the tower to prevent saboteurs from shooting out the base insulator on the tower and taking the station off the air. WGY was the flagship station of General Electric's broadcasting group until 1983 when it was sold to Empire Radio Partners, Inc. General Electric also owned pioneering sister stations in television (WRGB-TV, signed on as WGY-TV in 1928) and FM radio (W2XOY, later WGFM, then WGY-FM, and today WRVE, signed on 1940). As the golden age of radio ended, WGY evolved into a full service middle of the road format, slowly evolving as programming tastes changed. The station changed from full service to news/talk on Memorial Day Weekend, 1994. Dame Media, Inc acquired WGY and WGY-FM the during proceedings in the Philadelphia bankruptcy court, late 1993. Dame moved the studios to One Washington Square at the end of Washington Avenue Extension, in the west end of Albany, New York late 1994, where they remained until 2005. In 1999, Dame Media sold its entire radio group to Clear Channel, whose ownership remains to this day. Clear Channel combined all of its radio station studio operations into the former CHP (Community Health Plan) building on Route 7 (Troy-Schenectady Road) in Latham August, 2005. On September 20, 2010, WGY began simulcasting its programming on 103.1 FM (the former WHRL, which took the calls WGY-FM, previously on 99.5 FM). WGY 103.1 FM broadcasts at 5,600 watts power. In 1949...future teen singing idol, Ricky Nelson, began performing on his parents' Radio show. (Ozzie and Harriet Nelson). 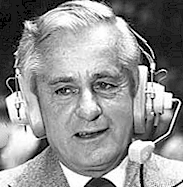 In 2006...Sportscaster Curt Gowdy, who spent 15 years with the Boston Red Sox, 13 years at NBC, had brief stays at CBS and ABC, and is enshrined in 22 sports Halls of Fame, died of leukemia at age 86. In November 1942, Gowdy made his broadcasting debut in Cheyenne calling a 'six-man' high school football game from atop a wooden grocery crate in subzero weather, with about 15 people in attendance. He found he had a knack for broadcasting, and worked at the small KFBC radio station and at the Wyoming Eagle newspaper as a sportswriter (and later sports editor). After several years in Cheyenne, he accepted an offer from CBS's KOMA radio in Oklahoma City in 1946. He was hired primarily to broadcast Oklahoma college football (then coached by new-hire Bud Wilkinson) and Oklahoma State college basketball games (then coached by Hank Iba). Gowdy's distinctive play-by-play style during his subsequent broadcasts of minor league baseball, college football, and college basketball in Oklahoma City earned him a national audition. Gowdy began his Major League Baseball broadcasting career working as the No. 2 announcer to Mel Allen for New York Yankees games on radio and television in 1949–50. There, he succeeded Russ Hodges, who departed to become the New York Giants. In April 1951 at the age of 31, Gowdy began his tenure as the lead announcer for the Red Sox. For the next 15 years, he called the exploits of generally mediocre Red Sox teams on WHDH radio and on three Boston TV stations: WBZ-TV, WHDH-TV, and WNAC-TV (WBZ and WNAC split the Red Sox TV schedule from 1948 through 1955; WBZ alone carried the Red Sox from 1955 through 1957; and WHDH took over in 1958). During that time, Gowdy partnered with two future baseball broadcasting legends: Bob Murphy and Ned Martin. Chronic back pain caused Gowdy to miss the entire 1957 season. He also did nightly sports reports on WHDH radio when his schedule permitted. He left WHDH after the 1965 season for NBC Sports, where for the next ten years he called the national baseball telecasts of the Saturday afternoon Game of the Week and Monday Night Baseball during the regular season (and the All-Star Game in July), and the postseason playoffs and World Series in October. In 2014…Professor of broadcasting and journalism at the State University of New York at Oswego/former television network newsman (NBC, ABC, CNN)/moderator (Meet the Press)/PBS opera program host (Live from the Met) Garrick Utley died of prostate cancer at age 74.